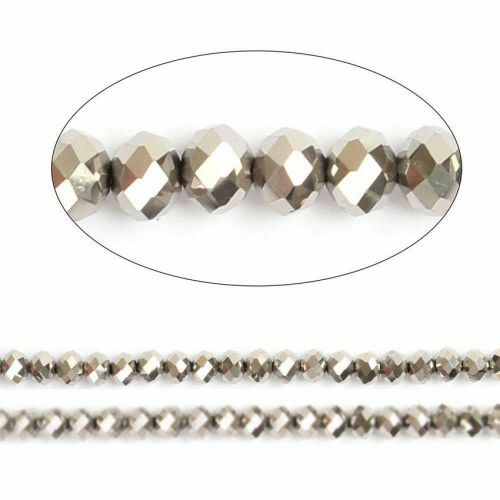 Mix these silver full coat essential crystal glass faceted rondelle beads with our other crystal beads. Our Chinese crystal glass beads are so beautiful; they have multiple facets cut into them to help them to really sparkle. The brilliant colour of the beads makes them so exciting to work with. Each strand measures approx. 16” Strand. Each strand contains approx. 73 beads.